You are at:Home»All Categories»Leadership»What are your tips you’ve learned from the best negotiators that produces the best outcomes? What are your tips you’ve learned from the best negotiators that produces the best outcomes? Betty Liu shares some of the tips she has learned from interviewing business leaders and from her own experience on how to negotiate successfully. She talks about the need to listen to the person you are negotiating with and she discusses why the technique of repeating back what you have heard is so effective. Previous VideoWhy aren’t there enough women holding executive positions or being CEOs of Fortune 500 companies? Next Video What types of personality traits do some of the most successful CEOs share? 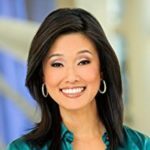 Betty Liu is an anchor on Bloomberg Television and founder of Radiate, Inc, a media technology platform that unlocks knowledge from the world's most successful people. An award-winning business journalist, Liu regularly interviews influential business, political and media leaders including Warren Buffett, Carlos Slim, Elon Musk, Steve Schwarzman and many others. Betty is also author of Work Smarts: What CEOs Say You Need to Know to Get Ahead.